#SeeedStudioInAustralia. 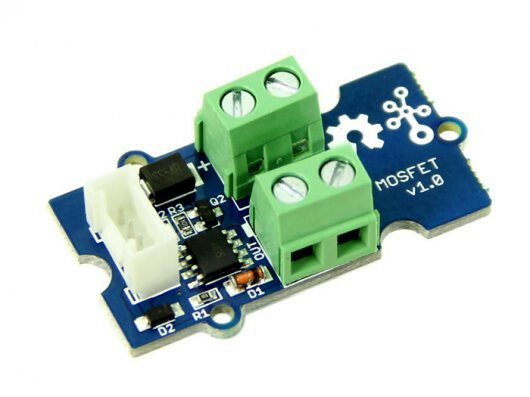 Grove – MOSFET. Control higher voltage with low voltage on microcontroller. There are two screw terminals on the board. One for outer power source and the other for device you want to control. Grove – MOSFET will pass the power from one end to another when closed. But if outer power source is absent, your device can still draw power from microcontroller via the Grove interface.